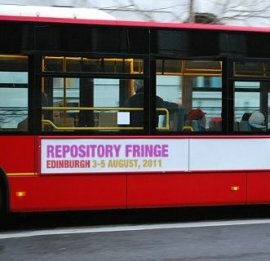 So, I spent the last two days commuting from Glasgow to Edinburgh to attend (first and not last time) an annual event called Repository Fringe. Whilst I am fairly clued up on Open Access, my overall knowledge is not on the same par as Institutional Repositories (IR’s) , hence my main reason for attending such an event in person. Am I glad that I attended? Absolutely. After two days, my objective had been met and I enjoyed the relaxed atmosphere throughout the whole event. For attendees, the event was free of charge, the food was bloody excellent, we all got some free booze, it was extremely well organized, great bunch of folks in charge etc. etc. I will come again. Moreover, I think most of it was live-streamed as well as being professionally filmed with all of the edited content to be uploaded fairly soon. The peeps in charge and the attendees did a fantastic job in terms of the output of tweets. Oh and the live-blogging was absolutely incredible. If I were to pick the two most memorable things that I took home from it in terms of what I learned, these would be as follows. One positive, one not so positive. Let’s start with the positive. What would BBC i-player (etc.) look like in a web 3.0 world? On day one, one of the opening presentations was by Mo McRoberts (BBC Data Analyst) entitled BBC Digital Public Space project. From memory, this lasted for roughly 20 minutes. I caught up with Mo before he left the event later on and has a great chat with him. Ultra cool guy. Like all other parts of the event, his talk was recorded (I will update this post with a link in due course) and live-blogged. The BBC Archive has 2.3m hours of film and video, 300k hours of audio, 4m photographs, 20k rolls of microfilm – it took us 2 years to find out the scale of it! There is also sheet music, ridiculous amounts of materials. A bit of it is digitised – 206k digitised radio programmes, 23k digitised tv programmes and an ongoing project to digitise this all – effectively a digital tape library. The underpinning mantra of this project is how do we maximise the value of this stuff? A lot of the things we need to do here is not only important for the BBC but also to other archives of cultural heritage. Is YouTube part of the cultural heritage – that skateboarding cat might be a really important moment – but for now we are focusing on the well known institutions like BFI, Kew, NLS, LLGC, NLW, National Archives, National Maritime Museum, British Library, Royal Opera House. So we thought why don’t we link these collections together. So we have been looking at how to make those journeys between materials work well. We don’t have long term internal funding but we are working in partnership and if we can demonstrate the potential of working then it could become something big and cool and useful. Right now it’s a tiny little thing that we hope will become big in the future. Now if my understanding of this talk and my conversation with Mo is correct, in approximately 18 months time, the content of all of these archives will be open and on the web initially to Academia and at some point thereafter, to the public at large. The driver here largely appears to be the BBC Trust. 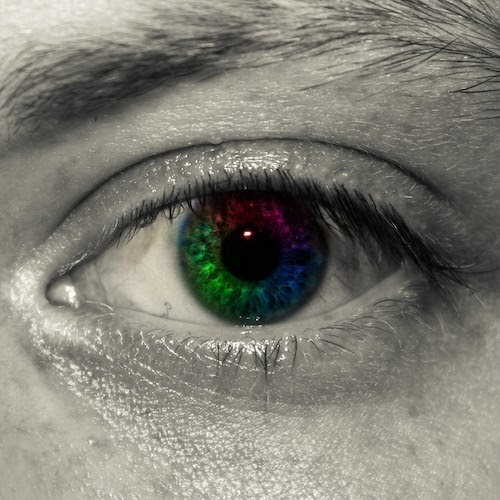 http://bbc.in/dpsblog – a blog post here by me gives further information on the project. And now, the not so positive. I learned something later on that day that would go on to completely change my understanding of IR’s for a couple of days before my brain relaxed a bit. It happened during the break-out session Social Media & Repositories. Brief blog post. When we were talking about repositories and Twitter I asked a question that I had been meaning to ask for a couple of years but had never got round to doing so. Following previous dialogue with one of the folks involved in Glasgow University’s  repository Enlighten, I have also been following Enlighten on twitter. The general response was that (at least in UK terms) only about “10 – 15%” of the content of these IR’s are Open Access. WOW !! I tweeted). Why the surprise?? Well, from everything that I’d read and been told about IR’s until that moment led me to believe that ALL of the content of IR’s was OA. Nothing at all was indicative to the contrary. As such, my surprise was therefore quite understandable at that juncture in time. I wanted to sleep on this and have a think about things before writing this blog post. Now here’s the “McRant” element to this post that I want to get off my chest and I apologise in advance to any offence this may cause. So the driver here is not the researchers or the Publishers but the Funders using a fairly rigid methodology. 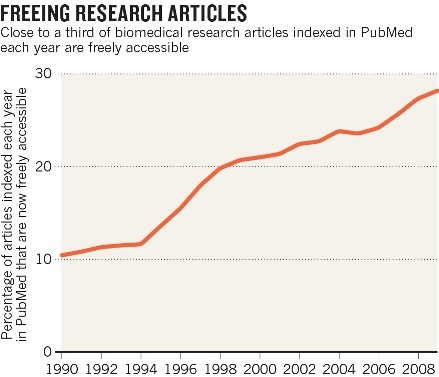 In the era (of STM publishing) that we are currently in i.e., post all of the OA Mandates, only 10 – 15% of researchers are self archiving their work into repositories. IR’s at least in terms of OA content (the same cannot be said for non OA content that can be accessed by researchers who have on campus access) do not appear to be particularly effective [2 Addendum]. Moreover, a rough calculation (pers. communication) of in the region of £100M has already been spent on IR’s. Whether it be the ‘carrot or the stick’ approach, there is little, if any incentive to self archive in this manner. Given the 10 – 15% figure, this would appear to indicate that 85 – 90% of researchers are simply interested in getting their stuff published TA/OA wherever they can generally guided by Impact Factor and so on. Le IR, c’est mort. Vive le IR! What ARE EFFECTIVE are the various public access mandates by federal government and by funding agencies [3 Addendum] as touched upon above and put into context in this recent post on Nature News. I hope I have ended this (yes it did contain a bit of a rant element which is unusual for me) on a positive note. I also now know that IR’s (as a non academic, I guess I found this out the hard way) do much much more than making content OA to the public at large. 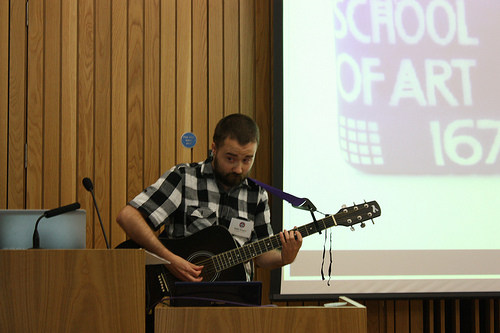 And to Robin Burgess (Glasgow School of Art) who chose to guitar his talk – you f*cking rock dude. Canny wait to see the recording. Under the circumstances, you blew everyone away and as a muso, felt compelled to give you a standing ovation. For the sake of clarity (should this ever be required), the only reason that I have cited this repository is that a) it’s my local one and b) the only one I’ve spoken with thus far. [2 Addendum] (Suber, pers. communication) “You say that repositories are not very effective. I’d say that repositories are very effective insofar as we make use of them. What’s not effective are the methods used at most institutions to fill repositories. Most institutions with repositories, for example, don’t yet have any policy or mandate to make new work OA”. [3 Addendum] (Suber, pers. communication) “….you say that funder mandates are effective. That’s true. But well-written university mandates are also effective, such as those at Harvard and MIT”. 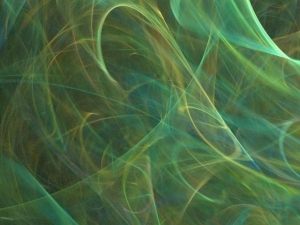 This entry was posted in closed access, open access. Bookmark the permalink. 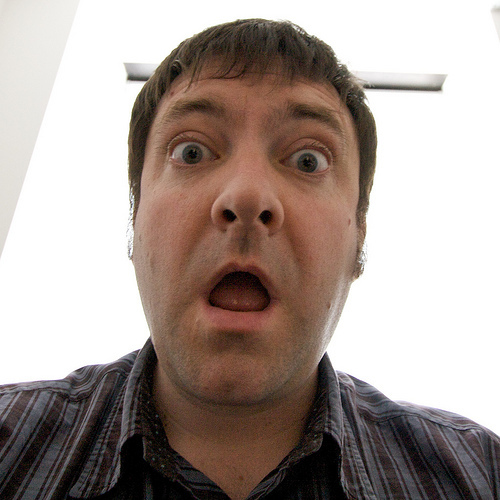 This entry was posted on July 4, 2013 at 10:00 pm and is filed under Uncategorized. You can follow any responses to this entry through the RSS 2.0 feed. You can leave a response, or trackback from your own site.